So it would seem that Christmas really is over, it's one of my absolute favourite times of the year and I'm already getting excited about the next one! The combination of being with your family, eating all of the best food, the time you spend with friends in the lead up and playing board games is just something I'll always absolutely love to do. 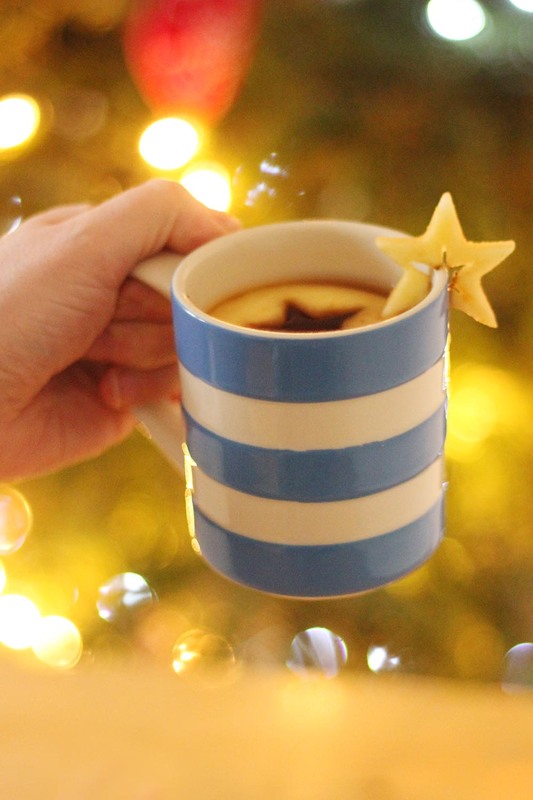 So to try and drag out the festivities for as long as I possibly can I thought I'd share two hot drink recipes inspired by the talented community of Pinterest to warm up your dreary winter days. 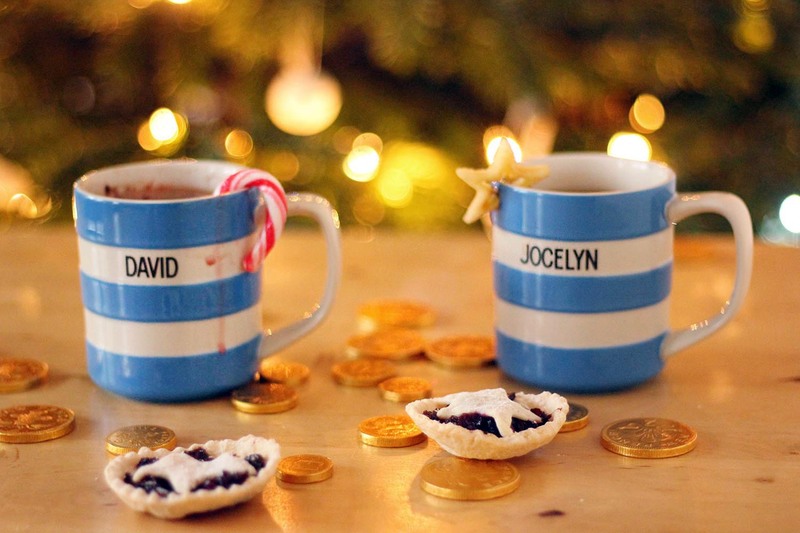 I splashed my drinks into these mugs by Cornishware and even personalised them with my parents names and a post Christmas thank you present. They make a really nice alternative thank you gift instead of sending flowers, chocolates or wine especially as there is the option to personalise. For this recipe you'll need; 1 cup of apple juice, 1 cinnamon stick, 1 tsp of mixed spices, and a 1 tea bag. Simply let the apple juice, cinnamon stick and spices simmer in a small pan over a medium heat for a few minutes. Pop the hot apple juice into your mug, discard the cinnamon stick and add in your tea bag to give it a tea flavour, remove your tea bag after your desired time. Lots of shops also sell apple and cinnanon flavoured tea, I'd recommend the Teapigs one if your a bit rushed off your feet to create this one. To finish slice an apple so you have a disc shape and use a star cutter to cut out your shape, and then add to your tea to give a festive finish and some extra flavour! This chocolately recipe is made for one, so for this treat you'll need 1 mug of milk, 3 tablespoons of a good quality cocoa powder and a pinch of flaked sea salt. In a small pan mix the milk, cocoa powder and salt together. However if you want to be extra fancy you can melt some dark hot chocolate over an bain-marie and add this to your hot milk. 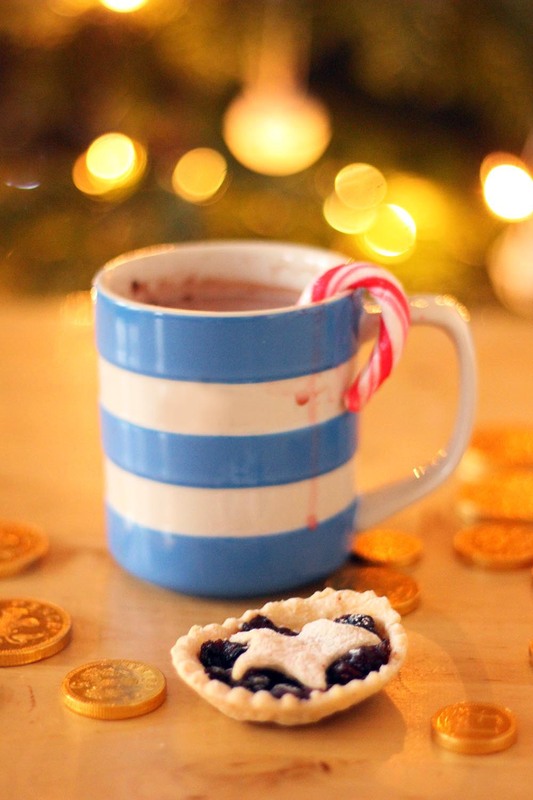 To get the peppermint flavour add a candy cane to the mug and this will slowly release the minty flavour into your drink. 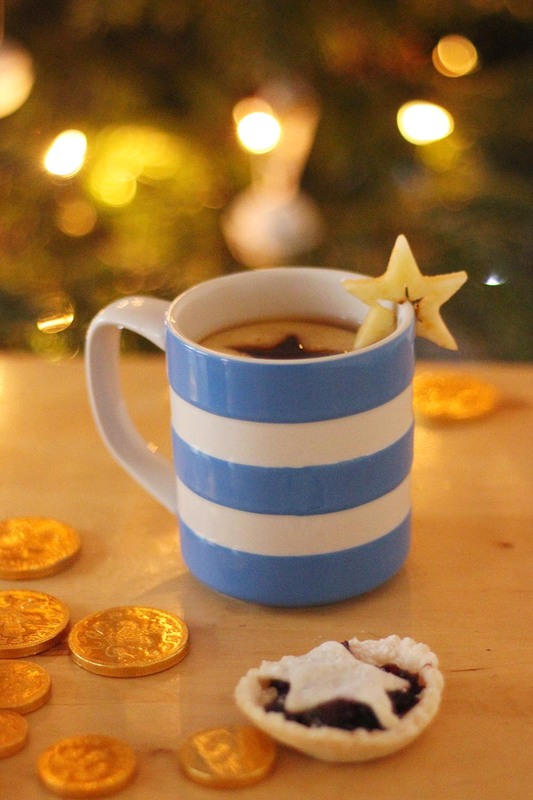 If you want to create a bit more of a grown up drink you could always swap the candy cane for a shot of Bailey's or Jack Daniel's, the perfect indulgent drink to have whilst wrapped up in a blanket and watching your favourite film! You should definitely try it, please let me know if you do!